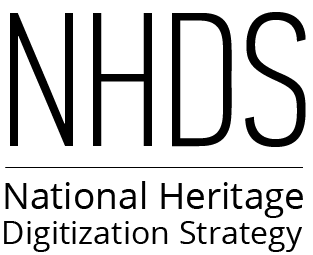 We would like to update you on some of our recent progress on the National Heritage Digitization Strategy (NHDS). Funding call – We had a remarkable response to our funding call. We received 213 applications, requesting almost $10M in funding. Our external advisory committee worked hard over the summer to evaluate the proposals and we will be announcing the successful recipients in the coming weeks. We thank everyone for their participation in this call. Although not all of these proposals can be funded, you helped to articulate the demand for a national digitization program. We will be using this information as we continue to seek additional investment in the strategy. Business plan – We drafted a business plan to provide more information on our goals, activities and tasks. The plan also articulates our vision and mission to engage the Canadian library, archive and museum community and Canadian creators in sharing expertise, to facilitate the digitization, preservation and discovery of Canadian documentary heritage. Upcoming event – Please join us in Vancouver for a half-day digitization session we are co-hosting with the Canadian Research Knowledge Network (CRKN). The session will provide a forum to discuss shared goals of digitization, access, and preservation of our national documentary heritage. The event takes place October 16th. Survey results – Earlier this spring we asked you for your opinions on how to prioritize the digitization of Canadian cultural heritage material. The survey received a high response and identified newspapers as the highest priority, and genealogical and high-interest material as additional priorities. See the full results from the survey on our website. Expressing interest in becoming a member of the NHDS Steering Committee – The term for the inaugural NHDS Steering Committee is coming to an end. If you would like to participate on the committee and help lead this exciting initiative, please see the website and complete our online form by October 4th, 2018. Joining the Technical Working Group – At a spring workshop, the NHDS identified the need for a technical working group. Do you have particular experience and perspective to bring to the group? To learn more, please see the website and complete our online form by October 4th, 2018.